These pearls are in gray color, 10-11mm in sizes, in round shape with high luster. 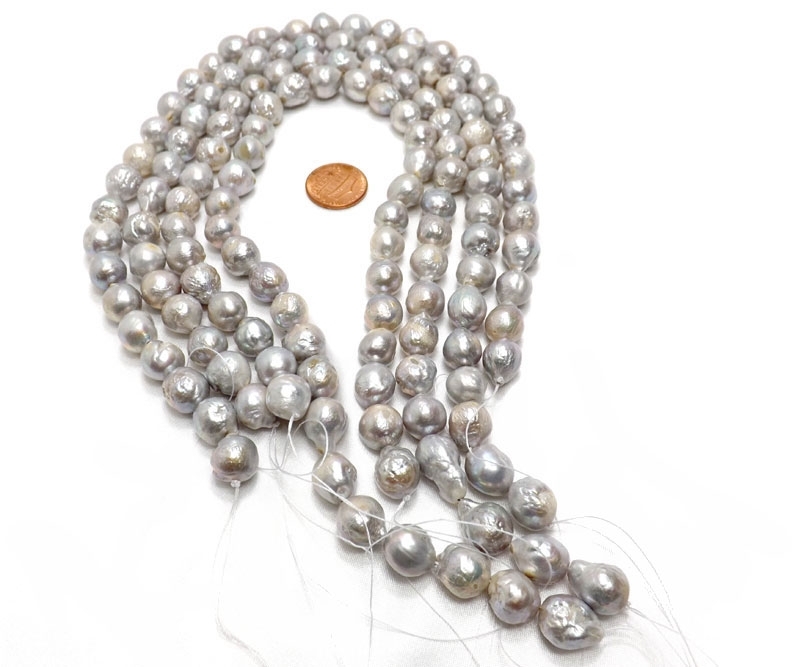 If you love the beauty of natural pearls, with rough surface and a few freckles, markings, and slight color variations here and there, as you can see from the picture, then you will love these large sized nucleated pearls. as they are showing these are not man-made like glass or plastic pearl beads with the smooth plastic look, which is why a lot of jewelry designers lover their rough and natural look comparing with regular pearls which would have cost a lot more, such as product no. LRS11011A if you are looking for much smoother surfaced pearls that is not nucleated. 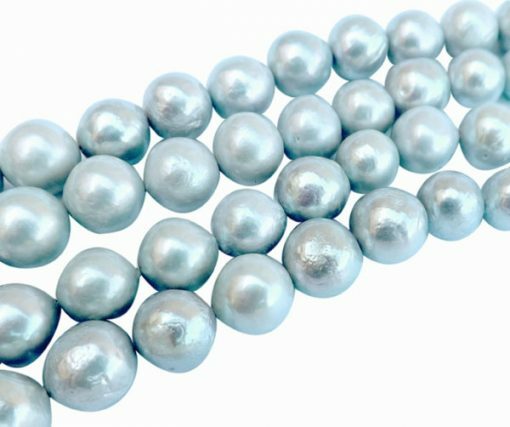 Nucleated only means a different process of producing pearl still made of nature. 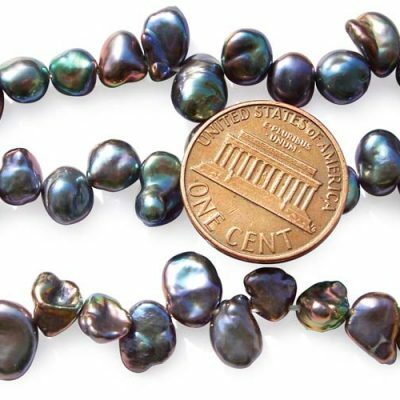 Normal freshwater pearls are tissue nucleated. 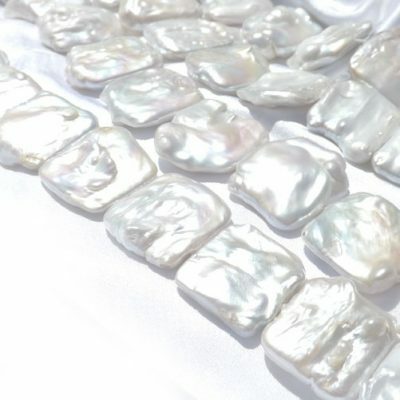 But since 2009, with the development of new techniques the pearl industry, these freshwater pearls have been successfully cultured with a bead nucleus to produce a very round shape that are hard to come by, especially for pearls at large sizes! There are approximately 37 pearls on each strand for a length of 15″-15.5″ long.